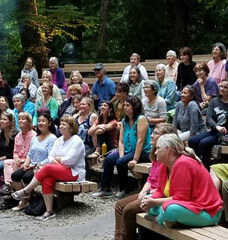 Annual symposium at Blue Ridge Assembly, Black Mountain, NC, May 31 – June 3, 2019. Highlights: More than 40 presentations on clinical applications of botanical medicine. PLUS Saturday keynote with internationally known author and environmental activist Leo Trasande, MD, MPP, Friday field studies, a pre-conference intensive with Lise Alschuler, ND, panel discussions, medicine-making classes and herb walks in a beautiful retreat setting. All inclusive lodging and meal packages start at $186 total for three night’s lodging and eight meals. Commuter meals are also available for $72 for the weekend. Blue Ridge does not take reservations by phone. 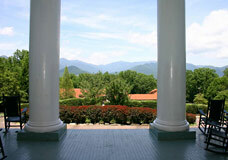 Pre-conference events at Blue Ridge Assembly. Participants may reserve lunch in advance from Blue Ridge here (“Early arrival needs”). Symposium registration required to attend these extra events. Read more about the Field Study here. Learn more about this intensive. Each culture and medical system has its foundational herbs that are essential for effective treatment. 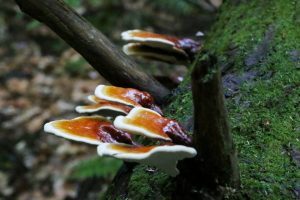 There are unique herbs in TCM and Ayurveda that have no western equivalent or effective substitute. One of the drawbacks of herbs from China or India is quality, as many of these herbs are contaminated with heavy metals, pesticide residues or simply old or inert. This class is designed to remedy both of these issues. David has chosen 28 important and clinically useful herbs commonly used in TCM and Ayurveda that you really need to know. These herbs are easily cultivated, so you no longer need to depend on foreign sources. Expand your materia medica, improve your ability to help your patients and get access to fresh, effective medicines all at one time.. This class explores the wonderful medicine of Lobelia, (Lobelia inflata), Poke (Phytolacca americana), Prickly Ash (Xanthoxylum americanum), Motherwort (Leonurus cardiaca) and Black Cohosh (Actea racemosa) and how appropriate they are for these changing times. We learn their sacred language through chemistry, medicine making and a brief plant journey. This presentation provides an overview of breast cancer diagnosis, conventional treatment and integrative management strategies. Advances in imaging and tumor genomics are discussed. The implications of the TAILORx study on chemotherapy recommendations are summarized. New conventional protocols for ER+, HER-2-neu positive and triple negative breast cancers are discussed and we conclude with an evidence-based synopsis of foundational nutrient and botanical interventions in the naturopathic management of breast cancer. 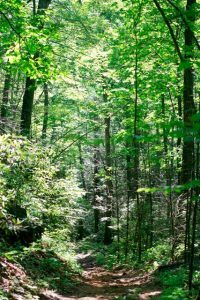 Walk the trails of Blue Ridge Assembly and learn the botanical characteristics of native and introduced plants in the local area. Discover their medicinal, edible and other uses, and ways to gather and prepare them, as only 7Song can describe them! Nonalcoholic fatty liver disease affects an estimated 8 to 10 million people in the US. It occurs in every age group, but especially in people in their 40s and 50s who are at high risk of heart disease because of such factors as obesity and type 2 diabetes. These conditions are also closely linked to metabolic syndrome, which is a cluster of abnormalities including increased abdominal fat, poor ability to use the hormone insulin, high blood pressure and high blood levels of triglycerides. Discover how alternative medicine offers a number of treatment possibilities through lifestyle modification, specific exercise, nutritional adjustments and botanical medicine interventions. Staying centered and upbeat can be a challenge at times, one that can influence quality of life and one’s outlook on the future. Plants can affect mood and emotional wellness through several mechanisms of brain physiology, including neurotransmitter function, oxygen supply, and more. Meet several herbs that promote relaxation and uplift mood. Learn several methods of application and herbal preparation that can be used safely and effectively. James Fries, MD introduced the paradigm of “Organ Reserve” in the 1980s. The key to this paradigm is an increased health span of individuals by improving the reserves in their functional capability. This model challenges deterministic genetics and is the foundation of the growing term ‘resilience.’ Understanding this model can aid practitioners in identifying practical therapies which increase resilience against age and disease-related changes and provide a long-term perspective for healthcare that is currently lacking. This presentation’s focus is on tools to improve organ reserve. Refresh yourself in the beautiful Blue Ridge Assembly forest with Doug, the consummate story- teller, entertainer and harmonica player. Scientific medicinal plant information and folklore are combined in a seamless whole in this walk on the wild side! This lecture discusses some of the most commonly encountered types of pain including musculoskeletal, neuralgic, and nociceptive pain. The mechanisms of action of selected anodyne herbs are explored and sample formulas for specific conditions are presented. The role of signaling molecules and cellular receptors in regulating biological processes is a focal point for scientific research into human physiology. 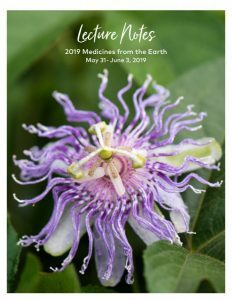 Overlaying the macroscopic view of traditional plant medicines on their molecular make-up and their effects on cellular receptors provides valuable insights into the application of botanical medicines in the modern clinic. Many plant derived molecules have been shown to act as agonists (stimulators) or antagonists (inhibitors) at specific cellular receptor sites. Key receptor networks to be covered in this lecture include: GABA/glutamatergic, cholinergic, endocannabinoid, opioid, serotonergic, and dopaminergic. 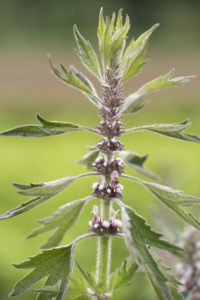 While sleep, good nutrition and stress reduction techniques are important for more effectively dealing with chronic stress, so are an underutilized category of herbs, the nervines. Nervines are nervous system tonics, they are not sedatives. They help restore our emotional foundations, help resolve anxiety, improve sleep, decrease emotional lability, calm our minds and are essential along with adaptogens for relieving the negative effects of our stress-filled lives. In this class we explore the most effective nervine herbs and their specific uses and indications. This experiential class teaches simple methods for developing intimate relationships with the plants around us. We employ techniques such as wide angle vision, sketching, organoleptics, journaling, and other methods in order to understand the depth of the relationships that are available to us with plants. We also pay tribute to Goethe and his study of plant morphology. Mood disorders were once thought to originate only in the brain as a “simple” chemical imbalance. This couldn’t be farther from the truth. Mood disorders encompass and can even originate in other organ systems, and the acknowledgement of the gut-brain axis has started to shift the focus of mood disorders to below the neck. Proper assessment including physical exam, laboratory work-up, nutritional intake and mental/emotional/spiritual intake are crucial in determining contributing factors in mood disorders, as is understanding the role of pharmaceuticals and their risks. Naturopathic medicine offers many valuable tools, especially botanicals, to help children and adults suffering from dysthymia and irritability, and this will be the focus of the presentation. Is cancer inevitable if we live long enough? Age is, in fact, the single most important risk factor for cancer. The impact of aging on both our genome and bioterrain gives us a unique view into what cancer is, how it develops and what we can do to lower risk. 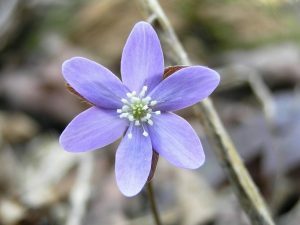 Botanicals are a unique and critically important strategy in addressing the specter of cancer in later life. Additionally, elderly individuals with cancer have age-related risk of complications, many of which are responsive to botanical interventions. Conditions of the eye can be extremely debilitating, depriving a person of their independence and rendering them unable to perform even the simplest tasks that we take for granted. Allergic eye disease and conjunctivitis are two very straightforward acute conditions of the eye that are commonly seen in clinical practice and can be effectively treated with botanical therapies. 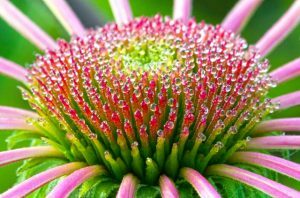 Cataracts and glaucoma are the two most common chronic conditions of the eye and, likewise, respond very well to treatment with botanical agents. We discuss the etiology of these eye conditions as well as novel and effective treatment strategies using tools and resources that one can find in every kitchen and most gardens. From garden to kitchen to home medicine cabinet, this class shows how to use local wild plants or herbs that are easily cultivated in a home garden. This hands-on workshop demonstrates harvest and preparation of first aid remedies, and provides a few samples to take home. Addressing the challenges presented in the keynote address the previous evening, the panelists look at the therapeutic benefit of botanicals and other natural therapies. Topics include botanical management of the consequences of exposure to endocrine disrupting chemicals (EDCs) on fetal neurological development into adulthood, cancer and children’s health. Trauma-informed care is now mandated in child care centers, schools and all state government agencies. Counselors, teachers and emergency responders are being trained to serve the community during accidents and tragedies, and I feel it is time for herbalists, naturopaths and other holistic practitioners to also become trauma-informed practitioners. Consider what is needed in an appropriate protocol to support an individual in recovery, and know what to collect in your business or community to be able to offer herbal support in case of a natural disaster or tragedy. Mental clarity and sharpness can be assisted with a classification of herbs known as nootropics. Nootropic herbs are a specific group of plants which enhance cognition, mental alertness, and aid in reducing mental fatigue. Use of nootropic herbs as super foods, beverages, aromas and extracts can keep the brain synapses firing and our brain performing. Learn simple ways to use nootropic herbs in daily life and the science that guides their use: saffron, spearmint, bacopa, ginkgo, gotu kola, lemon balm and others. Our lungs are considered the most delicate organs of our bodies according to Traditional Chinese medicine. They are also the most vulnerable, as they are the first line of defense after the upper respiratory system. This class presents the energetics of the lungs; look closely at what is needed to provide optimum conditions for this organ system and see how kidney health is foundational to good respiratory strength. We look at herbal support for asthma, bronchitis and offer remedies for damage due to smoke inhalation. Most detoxification cleanses aim to enhance the body’s elimination pathways, which are a key part of the detoxification process. However, the results of short term cleanses are temporary, in that they can pull away some of the toxic burden, yet they do not eliminate the source of toxicity. The body is equipped with complex networks designed to alter, neutralize, and eliminate toxic chemicals before they have a chance to cause damage. Botanical compounds enhance detoxification pathways, direct the manufacture of key enzymes to quench reactive molecules, and improve blood and lymph flow. Key nutritional agents enhance cellular metabolism and provide the substrates necessary to build the essential components of our detoxification networks. Chronic mood disorders in the elderly may not respond to pharmaceutical interventions as expected, nor to anxiolytic and anti-depressant herbal medicines as do other populations. 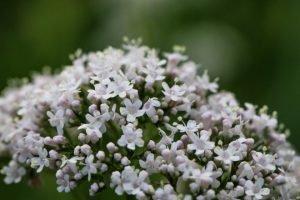 This class explores cerebrovascular-supportive and nootropic herbs, nutrients, and specific molecular research useful in crafting herbal formulas for mood disorders in the elder decades. 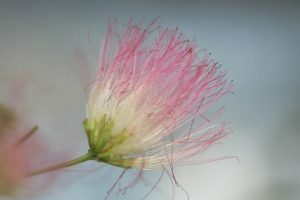 Many of us seem to be knowledgeable about herbaceous plants, those little ones that grow at our feet, but become baffled when it comes to trees. We’ll learn the easy ways to tell trees apart when there are leaves and flowers, and learn some tips for winter identification by observing bark and twig characteristics. The goal of this class is to help practicing herbalists and advanced herbal students gain practical skills working with people being treated for chronic health issues, including Lyme disease, long-term mental health conditions and pain syndromes. This includes using various preparations such as teas, tinctures and external applications as well as considerations such as dosage and patient compliance. What is more anti-aging that a good night’s sleep? Actually, not much! Increasing data demonstrates the importance of sleep and circadian rhythms on skin health, memory and cognition. Healthy sleep cycles can be more difficult to maintain as the body ages and elderly patients are often prescribed medications like benzodiazepines which can do more harm than benefit. Our intrinsic.need for sleep changes as our bodies change over time. Herbal medicine offers many choices when considering sleep maintenance and management. This presentation also reviews Ayurvedic and Naturopathic approaches to the anti-aging powers of sleep. This list of anti-aging, collagen building, nootropic, restorative, antioxidant beverages and foods support longevity. Foods rich in phytochemicals can slow down aging. 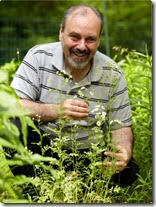 Learn to work the longevity herbs into something delicious and nutritious. Enjoy these recipes created just for this class! Sleeping and dreaming are universal aspects of human life that are adversely affected as we age. Sleeping is that magical state that allows us to recharge our batteries and process the events of our days. Even more than that, the dream state is our own personal on-ramp to the super-highway of the collective unconscious; every body’s portal to the spirit world. The term “oneirogenic” refers to practices that stimulate the formation of dreams. There is a long history of employing botanical preparations in order to produce or to enhance the divinatory nature of dreams. Here we discuss the role that sleep and dreaming play in reminding us of who we are, in a practical as well as a cosmic sense. 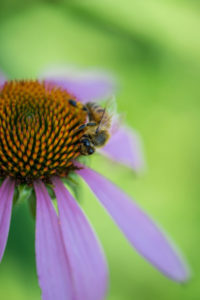 We discuss plant medicines that have enjoyed a long history of encouraging restful sleep and provocative dream states. There are simple steps for tuning up fertility in men and women, which can be part of a focused support for reproductive fertility health and pregnancy wellness. Some parts of such programs are best done several months before trying to conceive and others are more pregnancy-friendly. Herbal, nutritional and dietary helpful hints are shared. According to the CDC, approximately ten percent of children have been diagnosed with ADHD by the age of seventeen. Sixty percent of the children diagnosed go on to have attention and focus issues as adults A thorough history intake, laboratory assessment, sleep assessment and social history are important in determining proper and effective treatments for attention and focus issues. Botanicals are highlighted in treatment options along with Ayurvedic and naturopathic approaches. 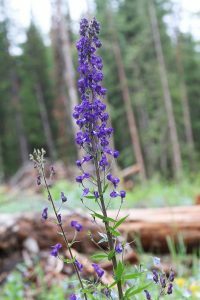 A combination plant walk and discussion about using local and naturalized plants for common injuries and illnesses, this class also includes a theoretical presentation on the possible application of these plants when there is less access to pharmaceuticals. Pleiotropy on the molecular level is the ability of a compound to hit multiple targets and have polyvalent property. 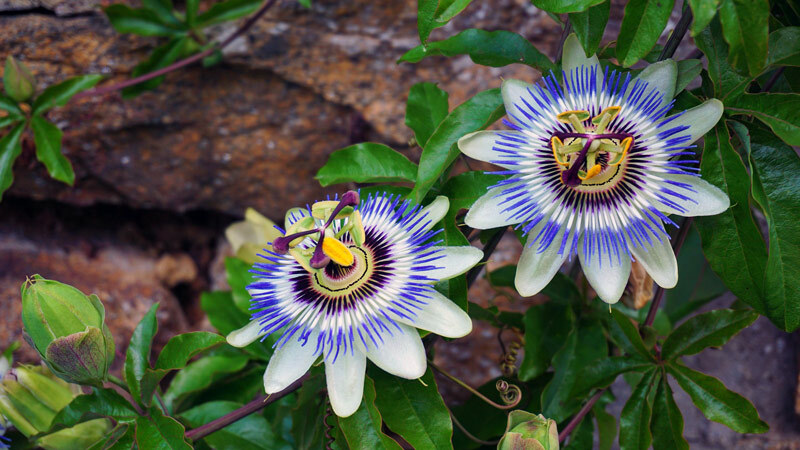 This is due to the chemical properties of phytonutrients which generally engage with multiple protein targets, but also has to do with the unique pharmacokinetics that botanical extracts exhibit. In this lecture we review botanicals containing compounds known to hit multiple targets and tie those modes of activities into therapeutic outcomes. A pharmaceutical will also be covered for comparison. Although most of it is molecular and animal-based, there is now a large amount of research on plant-based approaches for acute stroke recovery which supports traditional folkloric approaches. 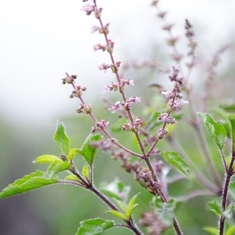 Learn what herbs may offer neuroprotection in acute ischemic states, what molecules may support neuro-regeneration, and what herbs offer regenerative effects on the cerebral vasculature. We invite practitioners attending the panel to submit a case for review. Panelists will choose two cases to discuss in detail and provide treatment recommendations. 7Song is director of the Northeast School of Botanical Medicine and practices as a clinical herbalist at Ithaca Free Clinic in Ithaca, NY. Botany is his passion, and he spends many hours photographing medicinal plants and teaching about botany, medicinal uses and clinical skills at his school and at conferences around the country. The Executive Director of TAP Integrative, a nonprofit web-based educational resource for integrative practitioners. 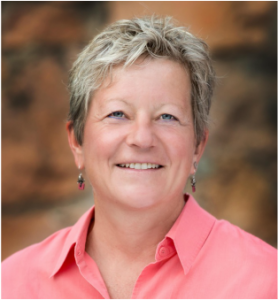 Dr. Alschuler is also a Professor of Clinical Medicine at the University of Arizona School of Medicine where she is on the faculty of the Arizona Center for Integrative Medicine. She practices naturopathic oncology out of Naturopathic Specialists, LLC. Dr. Alschuler co-hosts a radio show, Five To Thrive Live! and is co-founder of the iTHRIVE Plan, a lifestyle app for cancer survivors. She is co-author of Definitive Guide to Cancer, now in its 3rd edition, and Definitive Guide to Thriving After Cancer. An herbalist and botanist living in the mountains of western North Carolina, Abby is dedicated to the practice and teaching of herbalism. She makes her own medicines and her passion is taking people out into the woods to find the botanical medicines growing all around us. Jeannie Dunn is the owner of Red Moon Herbs. where she is dedicated to creating herbal products from local, abundant plants. As an herbalist and NC native, Jeannie herbal roots go back to the farming lifestyle infused in her as a child. She picked strawberries, canned vegetables and pulled weeds from row crops with her parents and three siblings on their multi-generational family farm in Efland, NC. 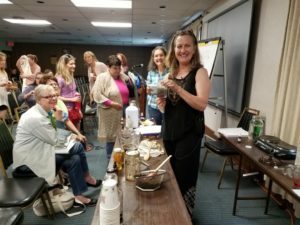 Today, knowing the powerful healing properties of those “weeds”, Jeannie happily uses them in her fermentations, herbal extracts and fun elixirs. Tricia Shapiro is the owner and operator of Hap Mountain Herbals, where herbal remedies are made with plants harvested wild or grown organically at or near her remote mountain home in western North Carolina. It is a small family business, where they limit their herbal line so it can be sustainable and healthy for the plants she grows and harvests, and for their gardens and the forests around them. 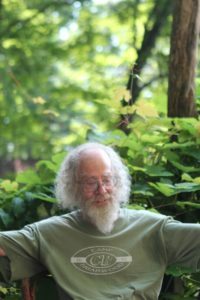 Joe Hollis has lectured, consulted and taught workshops in medicinal herb identification, cultivation and processing at Mountain Gardens and at various colleges and conferences in North Carolina for over 30 years. Mountain Gardens sells its seeds, plants and preparations at herb fairs and medicinal herb conferences, and via the internet at the website: www.mountaingardensherbs.com. Kat has been a practicing herbalist for over twenty years and is currently director of Sacred Plant Traditions in Charlottesville, Virginia where she offers a three-year clinical/community herbalist training program. She began studying plants in the Peace Corps in Chile and is the co-author of Bush Medicine of the Bahamas. Jason Miller practices botanical and nutritional medicine, acupuncture, and Asian bodywork at his clinic, Jade Mountain Medicine in Ashland, Oregon. He received his master’s degree in acupuncture and Oriental medicine from the Oregon College of Oriental Medicine in 2005, and completed a postgraduate internship at the “House of Celebrity Doctors” in Nanjing, China. He earned his Doctor of Acupuncure and Chinese Medicine (DACM) degree from Pacific Collegfe of Oriental Medicine in 2018. His approach bridges the frameworks of traditional and modern medicine in the management of chronic disease. A naturopathic physician practicing in Sun City, Arizona. 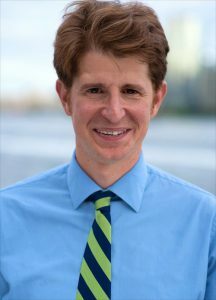 He is the vice-president of the North American Board of Naturopathic Examiners and chair of the biochemistry portion of the naturopathic physician’s licensing exam. 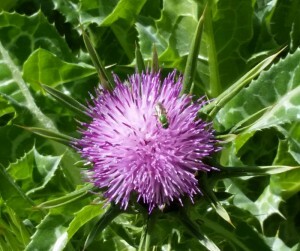 .Mary Rondeau specializes in natural medicine for chronic illness in Fort Collins, Colorado. Following medical school training at SCNM and residency training in Utah, she continued her education in southern India, working in various hospital and private practice settings. Reducing medication for children is one of her areas of expertise, and she has found a combination of adjustments in diet, lifestyle and herbal and nutritional supplementation to be very helpful. A naturopathic doctor, Jill Stansbury specializes in women’s health, mental health, and chronic disease. She teaches on the faculty of National University of Naturopathic Medicine, where she was chair of the botanical medicine department for 25 years. She travels extensively in the Peruvian Amazon to study indigenous healers and their herbs. Leo Trasande, MD, MPP, is an internationally recognized leader in environmental health and best-selling author of Sicker, Fatter, Poorer: The Urgent Threat of Hormone-Disrupting Chemicals to Our Health and Future . . . and What We Can Do About It. His research focuses on the impacts of chemicals on hormones in our bodies. He also has led the way in documenting the economic costs of diseases of environmental origin to convince policymakers to take action. 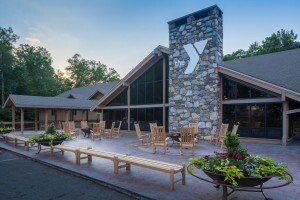 All inclusive lodging and meal packages start at just $186 for three night’s lodging and eight meals. Commuter meals are also available for $72 for the weekend. Continuing Education Credits (NEW! Please sign up for your CE credits when you fill out your registration form). Approved by the Continuing Education Nursing Group (formerly the Western Multi-State Division) an accredited approver by the American Nurses Credentialing Center’s Commission on Accreditation. We will post application status and approvals as they are available. Number of credits depends on which lectures are attended. CE Questions? Contact us and we’ll be happy to help. Lecture notes are compiled into an online book (proceedings) which is available to all registrants at no cost. In the beginning of May registrants will be sent a link and password to access the teacher materials online. Printed books are also available for $20 at the symposium ($30 afterwards). 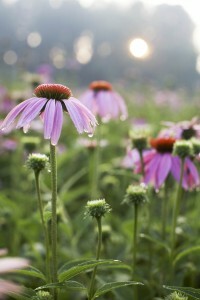 Thanks to Gaia Herbs and 7Song for the beautiful photos on this page! Questions? Contact us and we’ll be happy to help. Looking forward to seeing you there! Herbal Medicine conference. More than 40 lectures on medicinal uses of botanicals, including clinical information, herb walks and medicine making demonstrations.